This is about building Peerflix for iOS. It's awesome! But what if I just want to play video my iPad? What if I can run peerflix on iOS? Cool, can I get it on App Store? The core of the app is torrent streaming. It's certainly possible to do it natively, but it would be too much for our weekend project. 100% Node.JS Compatible - JXcore is a Node.JS fork with additional features. Is that even possible🤔 ? After a day of tinkering, I finally figure out how to make JXcore work on iOS. While most of the node code just worked. There are a few platform specific issues. For example peerflix writes to /tmp and we need override it with iOS sandboxed NSTemporaryDirectory(). network-address return my phone cellar network IP instead of my Wifi IP. Don't try to use npm package with native extension. JXcore do support native extension on OSX/Windows. But it seems they have not yet provide cross compile toolkit that let you compile native code to target platform (iOS device and simulator). You can still use package that use only built in module, but anything else will just fail on device. Another problem is ES6 support is not ready. 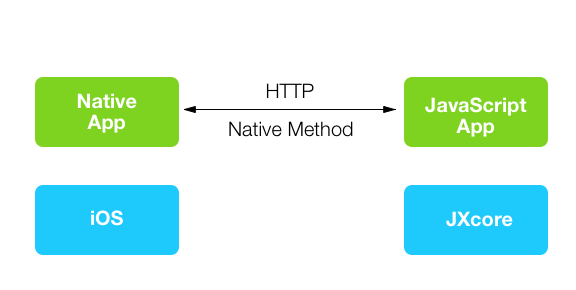 JXcore for iOS is based on Mozilla SpiderMonkey. At this time it don't even support class. Attempt to make webpack or browserify to work on it failed, they just don't seems to know how to bundle a file that JXcore happy to accept (I've got a lot of native dependency). Last but not least, the JXcore engine take some time to load. In fact it take about 10s to finished loading the engine. It's loading asynchronously so it will not block the app, but the JS part is down so pretty much everything is not working. This is certainly due to very large amount of dependency of the app. The node_modules library is now 40M. It don't load them all, but I'm certainly feel that I could do some optimization here. Please leave me messages if find this interesting!